For the past several years, Ohio State University researchers have been developing metal matrix composites embedded with shape memory alloys for a variety of purposes. Now OSU’s newly purchased SonicLayerTM 4000 machine will make that task infinitely easier. The Fabrisonic machine has been customized with laser technology to be able to embed shape metal alloy fibers into metal matrix composites created through UAM. 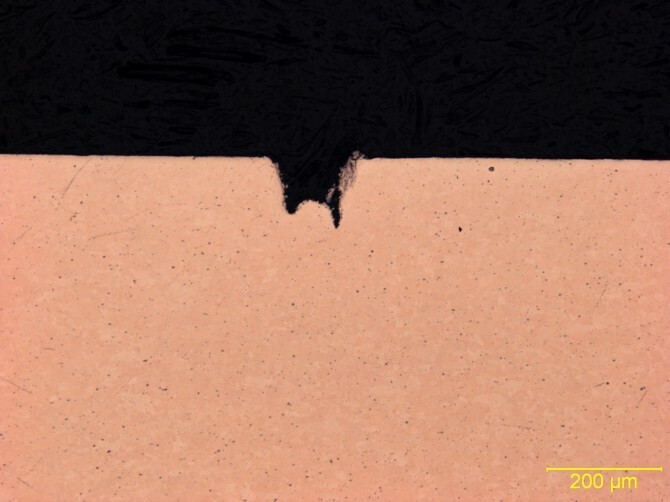 Using an internal q-switch marking laser, the SonicLayer machine shoots short pulses of high energy laser light to ablate (solid -> gas) metal off the surface and form the grooves. This unique capability eliminates the long and complicated traditional process of machining grooves with a small end mill for laying the fibers, and opens up a whole range of possibilities for the application of laser technology to UAM manufacturing. We are excited to be at the forefront of this innovative pairing of technologies. 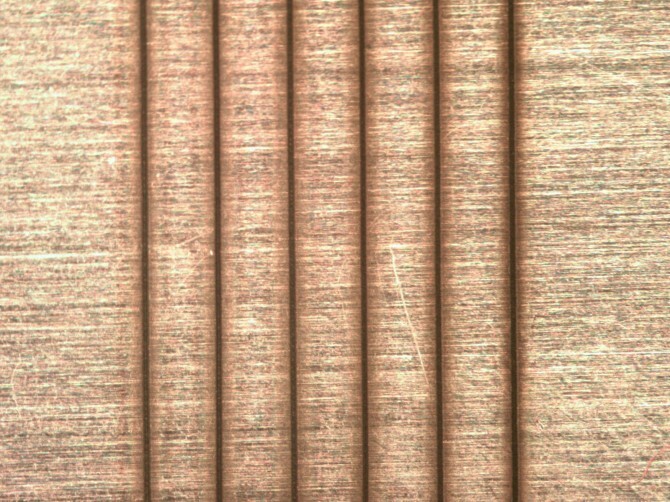 Expect to see more unique applications from Fabrisonic in the near future. 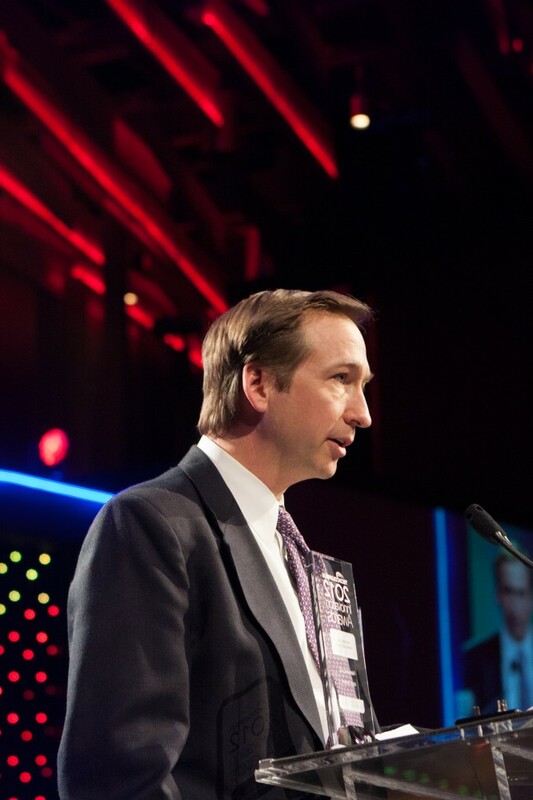 On Thursday February 7, central Ohio gathered at the annual TechColumbus Innovation Awards. Twenty-eight Ohio businesses were nominated for the “2012 Outstanding Start-up Business” award which recognizes high-perfomance companies established within the last 5 years. Fabrisonic was first runner up in this category last year, and this year we were able to bring home the award. We are honored to be named as the winner of this prestigious award considering all of the great technology companies growing in around Columbus. 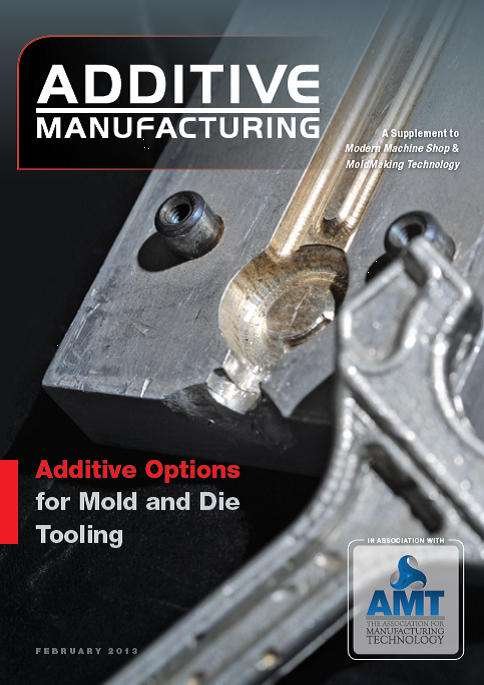 Fabrisonic is pleased to see a mold we created using UAM on the front cover ADDITIVE MANUFACTURING, the quarterly supplement to MODERN MACHINE SHOP. The photo features a small mold for investment casting that was produced during Fabrisonic’s formative years. It is a great example of a tool developed quickly, that went from CAD geometry to a physical mold in record time through the use of UAM. This month’s ADDITIVE MANUFACTURING story also mentions how Fabrisonic is able to produce complicated conformal cooling passages through UAM. Our machines actually have the capability to include conformal cooling passages in large molds. Since we are building layer by layer, we can intermittently stop and machine in very precise channels in three dimensions. This allows cooling channels to be located very close to the surface of the mold and conform in shape to the molds surface. This allows maximum heat extraction to optimize mold cycle times. With Fabrisonic’s SonicLayer 7200 machine having an envelope of 6 feet x 6 feet we can work on very large molds for composite panels as well.